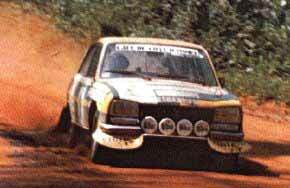 In the late 1970's, the french engineer Henri DANGEL developed an 4x4-drive conversion for the PEUGEOT 504 Break and Pick-up, which was presented at 1980's Parisien Salon. DANGEL 4x4 conversions were and still are done to brand new vehicles in the DANGEL factory in Sentheim, France, near Mulhouse. In 1986, DANGEL started the production of the 505 4x4 Break. More than 5500 of these wagons left the factory, mostly for official use (Gendarmerie Nationale, or in the (former) french colonies) - and for enthusiasts like us, of course ! DANGEL converted PEUGEOTs took part in the African rallies (Tunisie-Atlas-Dakar), too. 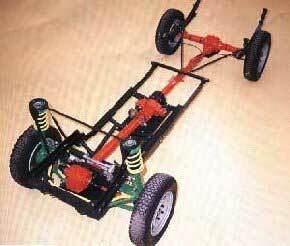 Pictured below is the 4x4 subframe of an 504 Pick up, including transmission, gearbox and suspension. Subframes for the Break had coil springs. 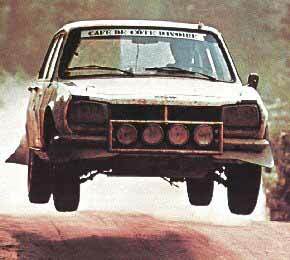 The 504 was to win The Bandama (cross-country through Africa's Ivory Coast over more than 3000 miles) from 1974-76. 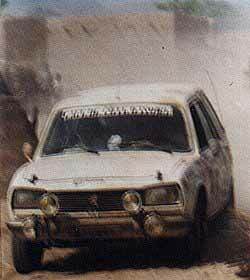 The 5-day Rallye du Maroc 1975 saw the 504 placed first and second, after only 15 out of 102 starters crossed the finish line. Next year 1976 got even better, with 504s finishing first, second and third. 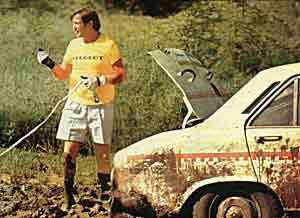 Bad luck at 1974s Bandama. This 504 needing a tow was soon to break some valves... Another 504 won this event anyway. BTW you can identify cars which participated in The Bandama by their Cafe de Cote d'Ivore stickers.